Hilarion is also concerned with helping atheists, agnostics, skeptics and others empirically centered who, often through no fault of their own but thanks to the blind leaders of the blind in Church and State, have become disillusioned with life and religion. “The agnostics cry out today against the trivia of this age and quite frequently they take a stand for principles of the Light,” Hilarion says. “The atheists deny while the agnostics struggle to see. 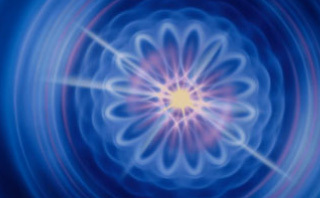 In our temple at Crete, we have determined to bring new meaning to life through the avenues of science and to stop the perpetual harassment of those forward-moving individuals who seek to assuage some measure of human grief”—even though they may not conform to some people's version of Truth or science or religion. For all are mounting toward the goal. Until the summit is reached, no man's perspective is complete. Some aiming for the top do not have the goal in sight—other mountains of conflicting desire obscuring the One. Let us help one another to know Truth in true compassion for the lame, the halt and the blind—which we all are or have at one time been. 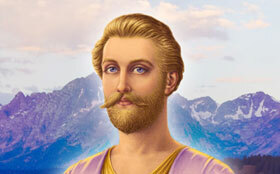 As an ascended master, Hilarion continues the healing mission that he fulfilled as Saint Paul and Saint Hilarion. 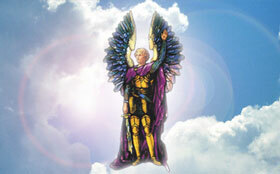 As a master of healing and truth, he is accessible to all who desire healing. 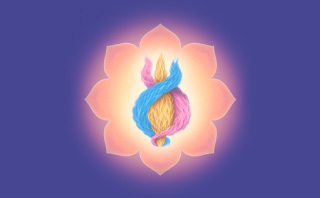 He teaches the way of self-healing and the rules of healing not only of the body, but of the mind, soul and spirit.